More and more people are choosing to replace the bathtub with bath showers. 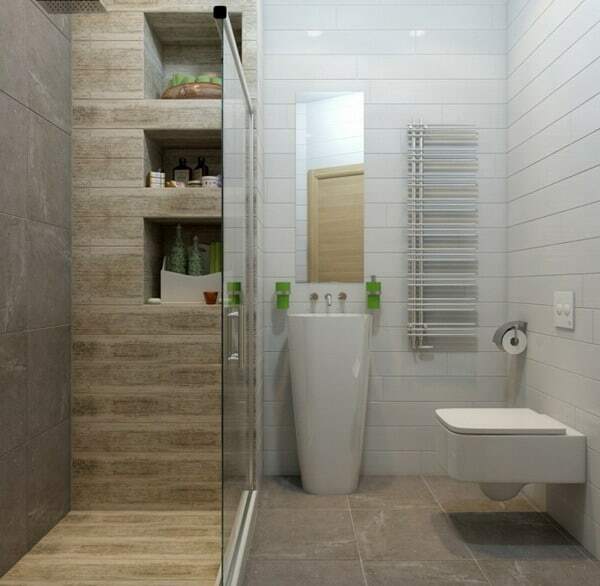 Although in principle they are the most recommended for small bathrooms, it is also possible to find them in much larger and more spacious bathrooms. In addition, they bring with them many advantages. For example, with a shower you will spend much less time and water, except in the case of a shower with jets. That is the reason why it is important that you inform yourself well before purchasing them, in order to choose the most efficient one. On the other hand, we must bear in mind that current designs are really innovative, both in their appearance and in their functions. Here are some examples of the most innovative bathroom showers for this 2020. Sprinklers: they are at the top, they can be round or square. In addition, they have different functions, increasingly advanced. For example, effect of rain, waterfall (you can limit the flow), a nebulizer or lights of different colors incorporated, which will look great visually. Even, in some cases, the lights will change color depending on the water temperature. With the colors you will enjoy the benefits of chromotherapy. Hand shower: we can call them also teleduchas. It’s like traditional shower telephones, although it’s true that they have more and more varied ways to get out of the water. An example of this is the rain or spray effect, which will fill the entire space with steam. Water outlets: also known as jets, direct, through these outlets of water, the jets (with different intensities) to the different areas of our body, especially to relieve back pain. Behind the taps traditional and modern showers now have thermostatic taps. With them we can regulate both the temperature and the water flow at the same time. They also have a safety cap at 38º C temperature. And not only that, the different water outlets can have a kind of silicone nozzles to remove dirt or limescale. Also, with some we can also enjoy aromatherapy. 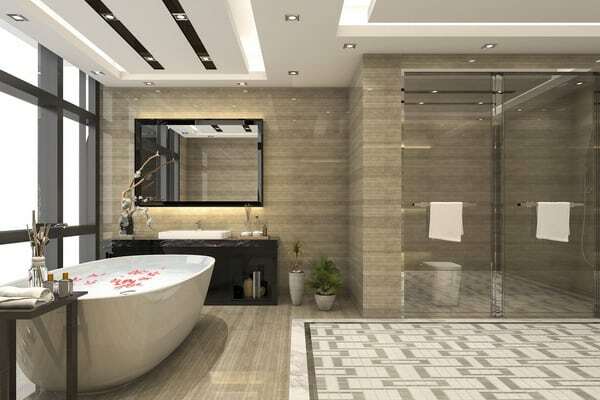 Therefore, your shower will also be a space where you can relax, just like in the bathtubs. This is, without doubt, a clear example of how home automation has evolved in recent years. The system is very simple, although you will need a medium-sized bathroom, since it takes up more space than a traditional shower tray. Actually, it is as if the shower was divided in two, the shower part as such and another part with built-in radiators, where you can change. This way, you will not get anything cold, because you really do not have to leave the shower to dry and get dressed. In addition, we not only see them developed by bathroom brands, but also by brands of radiators. Finally, we want to refer to the showers inside which we can find a seat, or also a shelf where you can leave soap cans, sponges, etc. Regarding the seats, we find two main types. The first consists, simply, in a kind of sheet placed on the wall, with free space underneath. The other option is a complete seat, whose lower part can be used as a possible storage space. Some of the seats can be foldable, so as not to disturb if you are not using them. They are very useful for children or elderly people. Thus, our bathroom will be more accessible. And if you want built-in shelves, they should be built on one of the walls that are free, that is, where there is no screen. We can build them with the same type of tiles or tiles as the rest of the wall or the bathroom. They are a simple and very practical solution. As you see, this field has undergone an important development. However, think that, if we still have not convinced you, in some cases it is not necessary to make a total reform of the shower. For example, you can add a shower column without having to change the entire shower, so it will be easier for you.